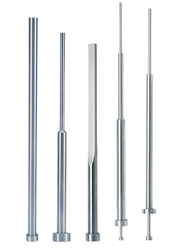 We are a leading Manufacturer of ejector pins, blade ejector pins and step ejector sleeves from Faridabad, India. 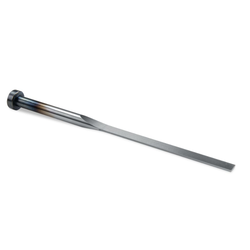 We offer a wide range of Ejector Pins. Raw Material: Through Hardened & Ground Steel For Plastic Moulds And Hot Die Steel For Die Casting Dies. 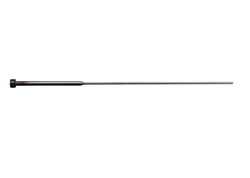 Due to our years of industry know-how, we are offering a wide range of Blade Ejector Pins. This product is well designed by making use of top notch grade material and up-to-date technology in sync with the set industry guidelines. Our firm offers an excellent assortment of Step Ejector Sleeves. The offered collection is fabricated and designed with the help of modern computers and employing the premium-grade raw material that is obtained from the most reliable vendors of the industry. In addition to this, all our sleeves are sternly tested on predefined parameters to eradicate faultless, if any.